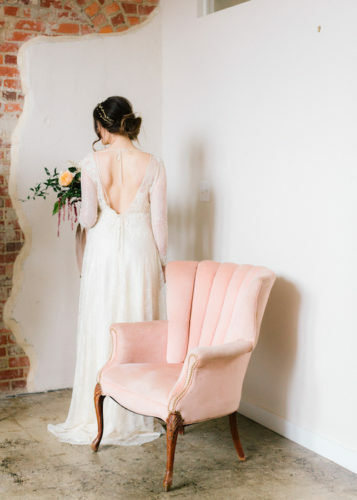 Enjoy these images from The Mallorys of a romantic dining area and pink feminine lounge area pulled together by Laural Elise Events at the Blackburn Inn! 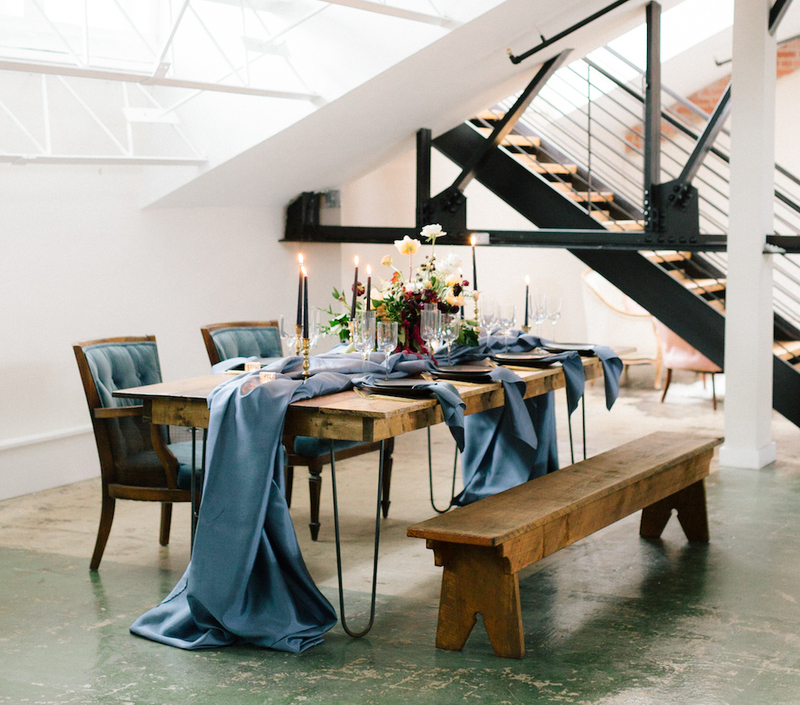 The raw industrial and historic space was the perfect setting for these pieces and collaboration with such talented vendors. 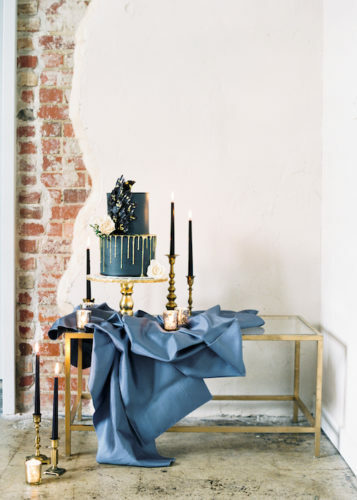 Check out Maliha Creations cake on the Gold and Glass coffee table with assorted Brass Candlestick holders that highlighted a corner of the venue! 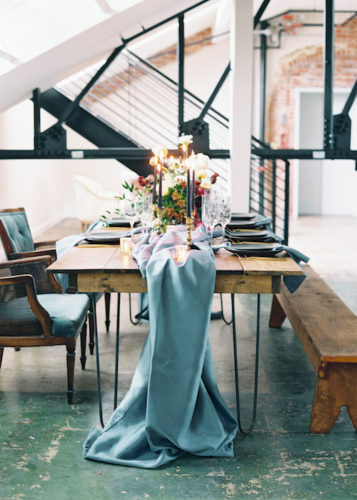 We love how the masculinity of the Hairpin Farm Table works in this space. 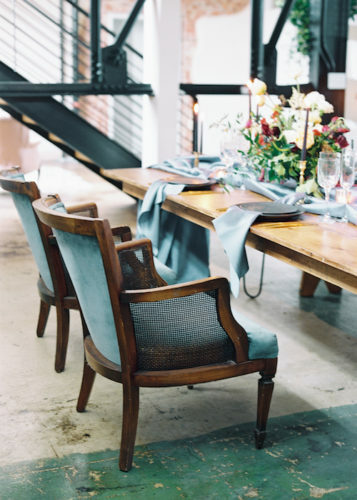 It was paired with the Pine Bench and the blue Hayward upholstered chairs as sweetheart seating. 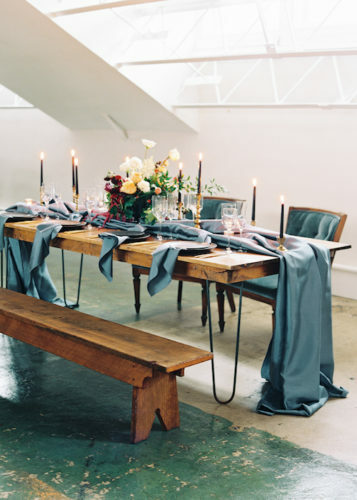 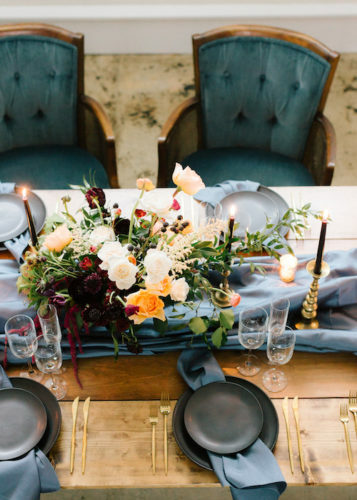 The velvety jewel tones complimented the gorgeous tabletop pieces from Emerson James Rentals! 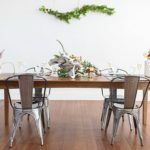 Rebecca Kendall Florals capturing the light in the small and delicate lounge that juxtaposes the darker hues of the dining set up. 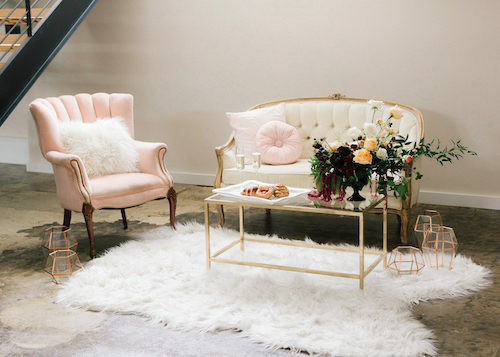 Sadly we retired the sweet pink Abilene Chair. 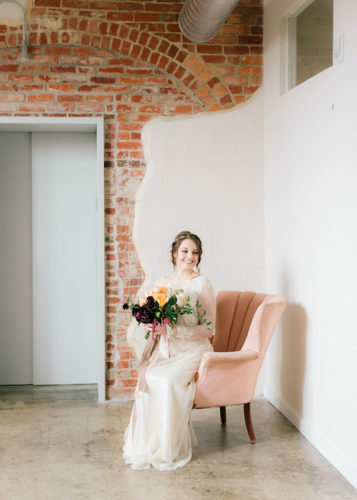 If you love this style, then we highly recommend the pink Gretna wingback. 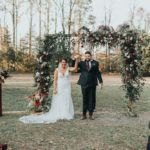 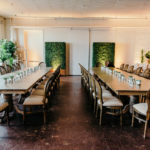 Paisley & Jade is a vintage & specialty rental company based in Richmond, VA and serving Virginia, North Carolina and Washington, DC. 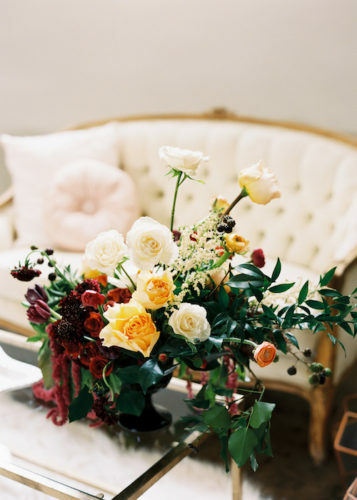 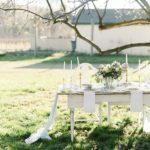 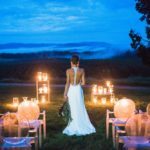 We maintain an inventory of gorgeous & unique furniture and decor pieces that you can use to create one-of-a-kind event spaces, weddings, photo shoots, and trade show displays. 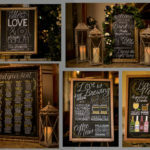 To learn how Paisley & Jade can help enhance your next visual display or special event, please contact us today!